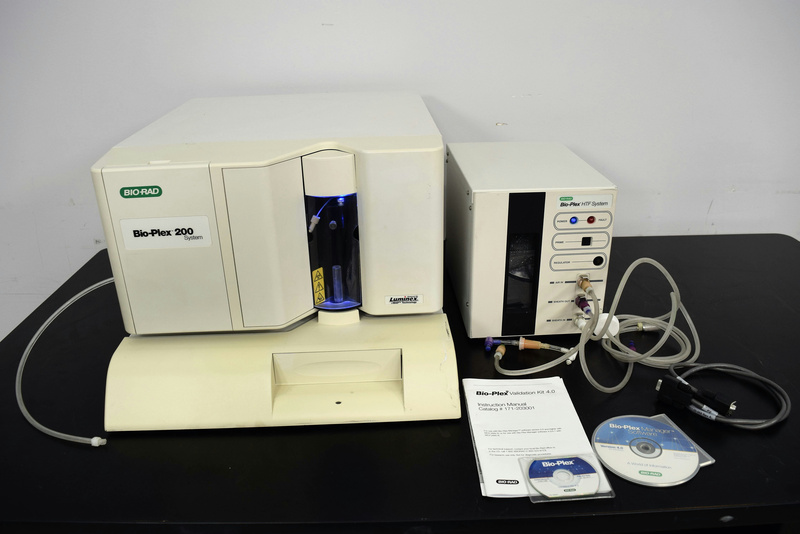 Luminex Labscan 100 XYP SD Multiplexing Analyzer Sheath Fluid Delivery System . New Life Scientific, Inc. This is a microplate based multiples immunoassay system. It is a flexible and easy to use system that enables you to do 100 different analytes in a single sample. The analyzer hasn’t been tested fully but we offer a 90-Day customer satisfaction warranty with this product to insure it operates as designed. The syringe in this system was bent, so it was removed. Our on-site technicians visually inspected the equipment and it passed a basic functionality test. No further testing was done as we do not have the dongle. Tested for basic functionality, in good working and cosmetic condition with minor wear and age.